This instrument can perform high precision multilayer deposition on substrates with arbitrary shapes using the five axis attitude control system. Substrates with a maximum diameter of 300mm can be handled in this system. 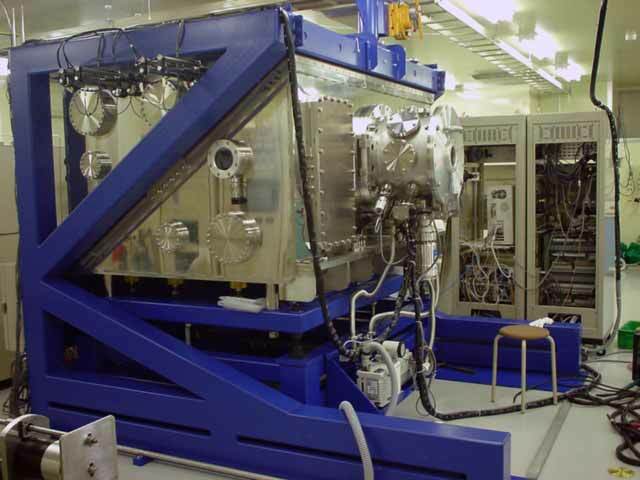 It has a load lock system with which you can introduce substrates keeping the deposition chamber in high vacuum.